As a big fan of quinoa and an advocate of sustainability, fair trade and supporting local farmers, I wanted to take this opportunity to share with you the winners of Alter Eco’s Quinoa Recipe Contest. To celebrate the International Year of Quinoa (who knew! ), Alter Eco invited aspiring chefs from across the country to share their most delicious and inventive quinoa recipes for a chance to win a trip for two to Napa Valley. Winners were selected by a panel of Alter Eco staff in conjunction with quinoa cooking experts Patricia Green and Carolyn Hemming, authors of Quinoa 365 and Quinoa Revolution. The contest grand prize winner, Merry Graham from Newhall, CA, created an Indian Inspired Quinoa Street Taco with Fresh Fig Salsa, a spicy and unique recipe that truly showcased the versatility of quinoa. For taking the top prize, Merry wins an all expenses paid trip for two to attend the Culinary Institute of America’s gala – “Ingredients for Impact” on October 6, 2013, where event caterers will whip up her winning recipe for the crowd. and Pearl Quinoa Banana Bread Pudding by Jerilyn Korver (Sherman Oaks, CA). Alter Eco shared the Grand Prize winning recipe with me and I’m excited to be able to share it with you. 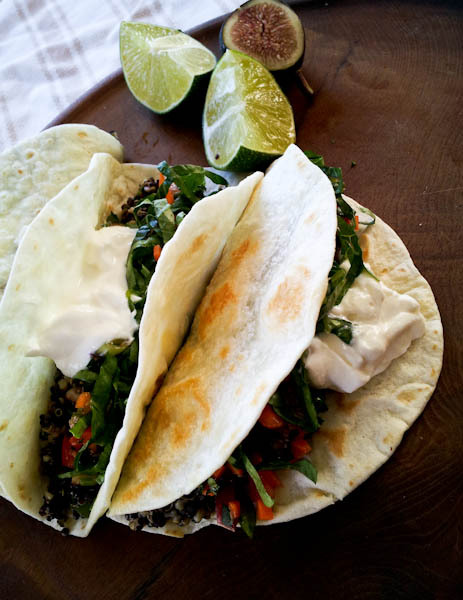 This delightfully unique recipe for street tacos brings the satisfying crunchiness along with all the nutritional benefits of quinoa – a complete protein plus 3 grams of fiber per 1/4 cup – flavored with green tea,exotic Indian spices and savory fig sauce. In a medium saucepan bring 3 1/2 cups of water to a boil. Add tea bags and steep for 10 minutes while preparing quinoa. Rinse quinoa until water runs clear. 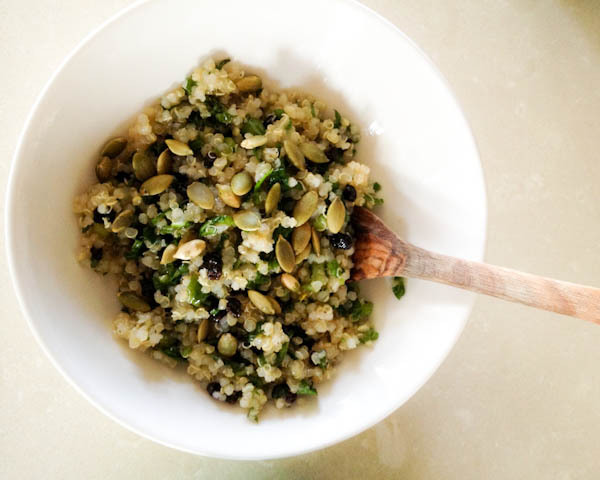 Spread in a large skillet, over medium heat, toast for 10 minutes or until the quinoa is dry and airy. Add oats, 3 cups steeped tea, and 1/2 tsp sea salt, and bring to a boil. Adjust heat to low and simmer, cover, for 18 minutes, stirring once. Meanwhile, make salsa. Combine figs, minced carrots, 1 tablespoon green onions, 2 tablespoons chopped cilantro, red bell pepper, squeeze of lime juice, a shot of hot sauce. Set aside. Remove quinoa from heat, quickly add ancho chili pepper, cumin, 1/4 cup minced cilantro, 1/4 cup minced green onions, 1 teaspoon hot sauce, juice from 1/2 lime or to taste. Stir and taste; add about ½ teaspoon salt or taste. Cover and steam while preparing taco shells. Heat a griddle and brush each taco shell with oil. Cook on one side just a minute, turn over and fold in half. Fry until just crisp. Remove and rub taco shell with second lime half and lightly salt. Fill with warm quinoa filling. 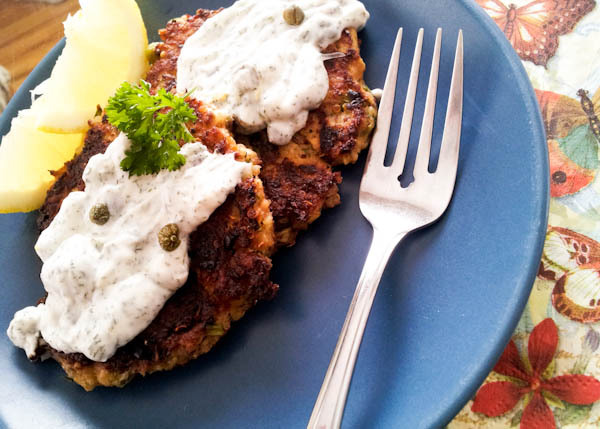 Top with salsa, shredded lettuce, and a dollop of yogurt. Sprinkle remaining green onions and cilantro over platter of tacos. Learn more about Alter Eco and how they, through Fair Trade and direct relationships with their partner cooperatives around the world, are committed to bettering the health, happiness and future of the families who grow our food and the importance of putting food on their tables as well as ours. These all look so good! It’s hard to know which one I would want to try first. I eat quinoa almost every week and these would definitely spice up dinner! 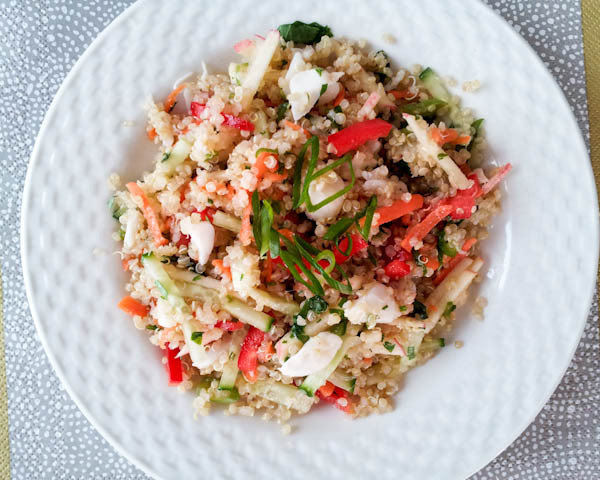 Fabulous ideas for quinoa, and Merry’s a dear close friend of mine! She’s a prolific recipe creator and contest winner!! Great post, Priscilla!! Great quinoa recipes! I love the healthy and delicious dishes. I’d try the taco recipe first! Fig salsa? That will be my first!